I accept the Privacy and i agree my personal data will be used to contact me. The nearest airport is Naples (150 Km. ), Both for National and International flights; The Pontecagnano airport (60 Km) is equipped for light flights. The nearest railway stations are: Ascea (3 km) or Vallo della Lucania (5 km), located on the Rome-Reggio Calabria route. The nearest motorway is Salerno - Reggio Calabria (A3) with exit Battipaglia or Eboli (50 km), follow the highway 18 towards Sapri, exit Vallo Scalo, follow the signs for Casal Velino. Casal Velino is equipped with a marina that allows the mooring of any boat. 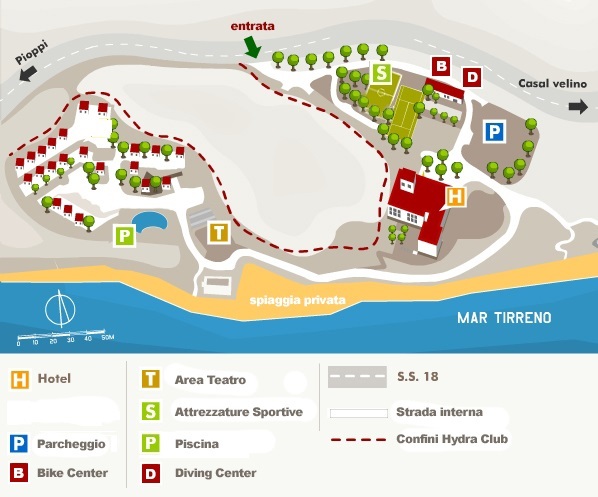 The whole complex covers an area of ​​about 10,000 square meters, just one kilometer from the seaside resort of Marina di Casal Velino. The entire area includes CASTLE with CLASSIC & SUPERIOR, CLASSIC & RECREATION SERVICES, a multipurpose tennis, basketball and soccer field, a beach volleyball court, a diving & Bikecenter for lovers of Those subacquee and cycling, a private stone beach with umbrellas and sun loungers, an amphitheater for entertainment shows, a large outdoor pool, and a private car park. 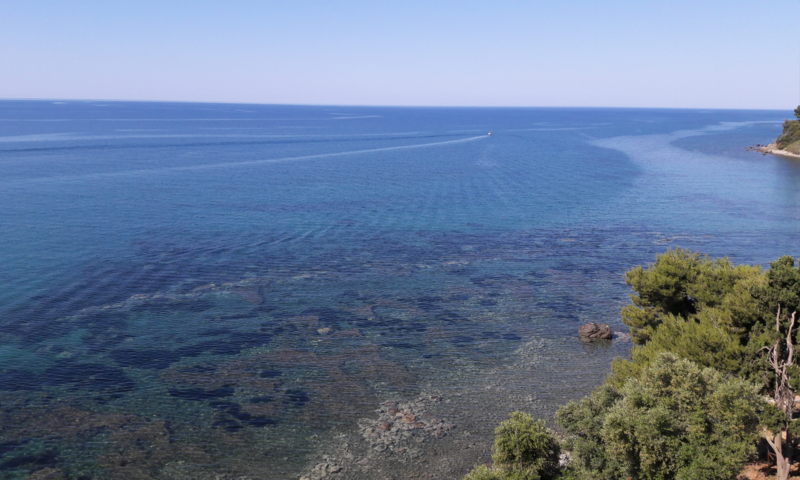 It is all immersed in the lush greenery of Mediterranean scrub, directly overlooking the sea. Subscribe to the newsletter to receive all the holiday offers and promotions on your email for free. I accept the Privacy and i agree my personal data will be used for marketing purposes.